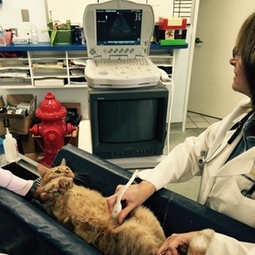 Ultrasonography - Paws 'n' Claws Veterinary Hospital, Inc.
Radiographs are useful tools in evaluating the overall health of your pet, but they do not provide great images of soft tissues. Ultrasonography provides a better way to evaluate form and function of soft tissues within the body. This is a non-invasive procedure that is performed while your pet is awake, comfortable, and alert.